There are no lone wolves in sales. Not anymore, really. In a hyper-connected world, reps and managers have to do more and be in more places to hit the numbers. Peer to peer marketing (or P2P marketing) is just one of the methods to remain at the forefront of your sales game and it’s vital. B2B professionals have deployed in droves to connect with their peers and colleagues via social media, as well as coworking and networking events. All in order to collaborate, gather insight into their industries, problem-solve and learn about tools others are using. IBM has noted that social business has become the norm. People prefer to do business and learn about products with their peers, instead of with companies. Business owners and B2B contacts are opting for a more personal approach. They want a face and name to guide them. Contacts often want to speak directly to someone who’s worked with your product. Someone with the right answers, rather than mass media (i.e., newspaper, radio, or broadcast). This is where peer to peer marketing comes into play. Peer to Peer Marketing: The practice of encouraging customers to promote, advocate and even sell products to their peers. Isn’t that network marketing? No. MLM companies do utilize their consumers to sell their products. And, often times, those selling do reach out to those like them (e.g. peers). That said, it’s more of a B2C since each individual is starting business. But isn’t it word of mouth? Yes and no. P2P marketing shares many commonalities with word of mouth, but they do have several differences. Peer to peer marketing can be more effective if those differences are utilized fully. Word of mouth is one person telling all their friends, family and colleagues about their favorite products/services. For instance, a favorite brand of toothpaste. Or a favorite accountant. Things like that. That’s not to say that word of mouth can’t be a powerful lead generation strategy. It’s just that peer to peer is more nuanced. Instead of a customer telling many, a customer tells others who are like them. You likely use a buyer profile (or persona), right? Think of P2P marketing as an ideal buyer actually purchasing from you. Then, that same buyer goes out and locates others that fit your ideal profile and shares your name. That’s the power of peer marketing. Don’t just take my word (see what I did there) for it. Here’s a screenshot from LinkedIn’s State of Sales 2017 report. The report showed how 70% of the time that key business decision makers responded to salespeople, it was due to the fact that those salespeople were introduced through some kind of professional network or referral. Now, let’s get into the “how”. To reap the benefits of P2P, or peer to peer marketing, there are three must-dos. Differentiating your products from your competition. Interacting on a personal level with your customers. What motivates a consumer to purchase varies depending on their firmographics/demographics. A mid-twenties single professional will have different career goals and behaviors than a married forty-something professional. So, a strategy that’s too broad would not capture the interest of both decision makers — a tailored, specific strategy would need to be created that more accurately understands the needs of the individual group, with content that is more desirable for each group. Peer to peer marketing would create that first step to differentiation — after all, we trust the opinions of our friends. This can also be true of many different scenarios. The amount of time someone has been in the position (decision makers that have just taken a role typically spend more money earlier in their career than later). Today’s consumer won’t interact with a faceless brand, so it behooves a company to create marketing material that better expands on their personality. Humor and creativity is the gold standard in Peer to Peer marketing, and grassroots, outside-the-box content is likely to get more engagement from specific, targeted audiences. As a sales rep, you should be creating content for your prospects. At the very least, you should rely on resources created by your company. In those marketing materials, detail how you and your product are unique, trustworthy and how it can be used to accomplish goals. 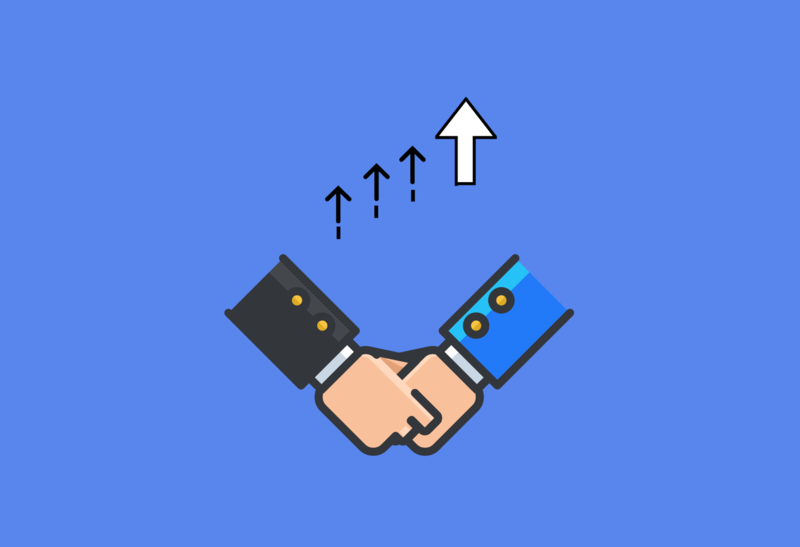 Make that personal connection between your targeted customer and your salesperson or business (which custom content, created by you, can do well). The consumer can speak their mind freely through social platforms, and voice their opinions on what is credible and worth purchasing — and what is not. By encouraging that P2P interaction through customer question responsiveness, a rep can create a personal, human touch that will build long-term relationships with their customers. When a consumer feels like their purchasing power is valued, you create a bond in which they will come back time and time again (quality consumer) and share your services with their friends (increasing quantity). An ongoing, long-lasting conversation can bring added insights for future product upgrades and developments, enabling you to stay in touch with market trends and desires. Pro Tip: We recommend a tool, like Mention. If someone uses your name, you’ll know about it and can interact—before the world has formed opinions. Make that connection between sales, CRM, and marketing. Focus your efforts on building a pool of content and deliverables geared towards a particular peer group. Build your trust and credibility through videos, testimonials, and honest reviews. Invest in the growth of social awareness and platforms, instead of pure efficiency. The success of those BNI or pop-up networking events has demonstrated the value of P2P selling in the referral market. Small businesses and large corporations alike have flourished in the abundance of referral opportunities to get in the door of targeted consumers at a higher and more successful rate than ever before. Much of this is due to salespeople, account reps, or brand ambassadors (like the owner of a small business) developing, nurturing, and fostering trustworthy relationships with their peers. When they go to ask for a referral from these networks, they are able to get a meeting quickly – and more often than not, that final sale. This is all possible by deploying those reps with specific, tailored information and content that is easier to target the right prospect – rather than running down cold calls. For decades reps converted prospects into clients at a 50% rate, but now it’s increased dramatically to 70% – all due to peer to peer marketing. The most successful marketing and advertising campaigns are ones that capture the viewer’s attention. They drew the viewer in, enticing them to engage, and most of all they persuade the viewer to become enamoured with the product or company because the campaign spoke to them on a human level, not on some corporate level. The personalization and differentiation of the campaign made them take notice. The engagement of the company and interaction with their consumer bases evoked a desire to explore more of what the company is offering, and compels them to share that information with their peers — creating that oh-so-important referral. But how do you tailor and gear that content to be connect more genuine — more human? The buyer, no matter if their a single person or a board of stakeholders, doesn’t want some cold sales pitch. They want your story – they want to understand how your business fits into their ideal, their business identity, their brand. They want a compelling reason to learn more, to engage further. It’s time to break free of industry jargon and communicate value instead. Focus on human concepts, framing your company and its services to be more tangible. It’s best to use a good copywriting formula to do this. Use the daily grind, those tasks and mundane duties to create a common connection with your peers. Lean on the empathy we all share for a calendar full of meetings to create a common feeling of wanting a product to alleviate time and stress. Focus on how your product can effect and improve the lives of the individual employee, rather than the business as a whole – empathise with the singular person, not just the corporate brand. Consumers want to know they’re investing in something more than just a machine churning out mediocre products in return for bundles of money. They want something to stand behind, something to be proud of – something that creates that trust in working together for a bigger picture or mission. Typically, a P2P sales or P2P marketing campaign can be more of a long game than a quick close. It takes time to win the customer’s heart and mind, let alone their company’s budgets. Instead of looking at the bottom line on a microscale, re-evaluate goals on a macroscale — how individually engaged are your peers and referral sources? How much time are your consumers spending with your content, interacting and engaging with it? Utilize those numbers to gauge the success of your P2P campaigns. If an area is lagging, invest more resources into the top three tips mentioned above: differentiate, engage, interact.